We exist for one simple reason: because thousands of people like you believe that exposing the truth about 9/11 is essential to creating the kind of world we all want to live in. With your support and participation in our community of activists, we work to achieve that goal. MLK said the moral arc of the universe is long but it bends toward justice. Together, we are part of that arc. The way to achieve 9/11 Truth and Justice is through collective action and pooling our resources. Your monthly donation is what enables our pursuit of truth and justice to continue. All members receive a 15% discount at AE911Truth’s Online Store! This collection comprises three DVDs highlighting some of our greatest achievements: The San Francisco Press Conference, which marked our 1,000 AE-milestone; Our Best Worldwide TV Coverage, a compilation of our most impactful media appearances; and our ReThink911-themed Solving the Mystery of WTC 7, narrated by actor Ed Asner, released during our global ReThink911 campaign. ReThink911: A Year of Grassroots Action and Not-So-Guerrilla Advertising + the gift above! From Sydney, Australia, to New York City, the famous ReThink911 ads have come and gone. But still with us are the dozens of videos created by both activists and AE911Truth during the year-long ReThink911 campaign. Combining all of these videos into one fun and energizing volume, this brand new DVD pays tribute to the thousands of dedicated activists who came together that year to raise awareness of one of the most marginalized but important political issues of our time. Beyond Misinformation Book + the gifts above! This is the stunning book version of our 50-page guide to the WTC evidence, which we released in September 2015 and mailed to 20,000 architects and engineers. If you liked the booklet, you will love the handsome book. We recommend gifting it to someone important or keeping it on your shelf to show all your visitors. Our Research DVD Collection + the gifts above! This collection includes AE911Truth’s two signature feature-length DVDs: 9/11 Blueprint for Truth Research Edition and 9/11: Explosive Evidence — Experts Speak Out. Combined with the gifts above, you’ll have six DVDs and one incredible book to share with friends and to enhance your own knowledge. An invitation to our Quarterly Collaborators’ Circle, a conference call held once every three months for our dedicated donors to meet with Richard Gage and our senior staff, to share ideas, and to hear what’s going on with the organization. Give $50 or more per month or $1,000 or more annually to be a part of our Quarterly Collaborators’ Circle. A twice-a-year personal phone call from AE911Truth Founder and CEO Richard Gage, AIA, to you — because your input can be instrumental in accomplishing our mission. Give $100 or more per month or $2,500 or more annually to receive this biannual call from Richard Gage. An invitation to lunch or dinner at the restaurant of your choice whenever a member of AE911Truth's board of directors or senior staff are in your neck of the woods (or let us know if you're in our neck of the woods). Give $250 or more per month or $5,000 or more annually to receive an invitation to lunch or dinner. We can't wait to meet you! If you would like to contribute at a higher level, please email or call us at (510) 292-4710. 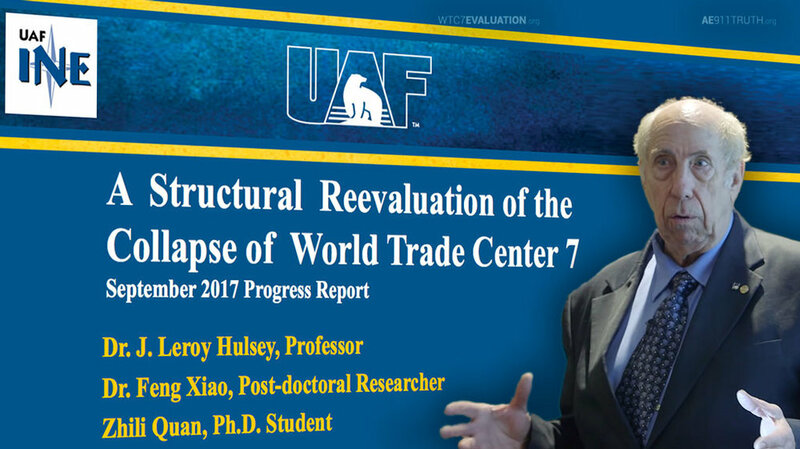 The release of the UAF study is expected to be the most significant step forward among all of AE911Truth’s many accomplishments — providing what we anticipate, based on Dr. Hulsey’s preliminary findings, will be irrefutable proof that fire could not have caused the collapse of WTC 7. AE911Truth and our thousands of supporters will need to work vigorously to promote this landmark study, in order that it may have the fullest impact possible. Your membership in 2018 will enable us to do just that. AE911Truth will continue to expand its education and advocacy efforts. In terms of educating A/E professionals, our priority will be on growing and sustaining our soon-to-be-launched outreach program to the engineering community. 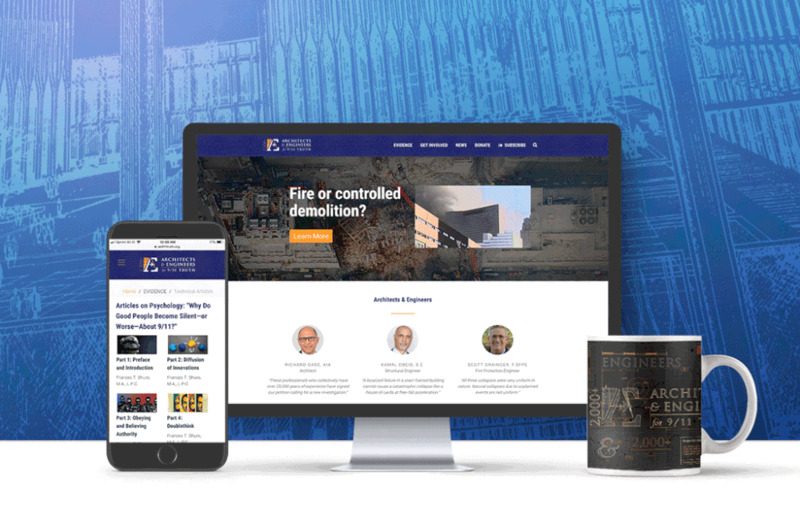 This effort involves a network of more than 30 engineers around the world delivering our new presentation designed by AE911Truth board member Roland Angle and longtime researcher and contributor Tony Szamboti. 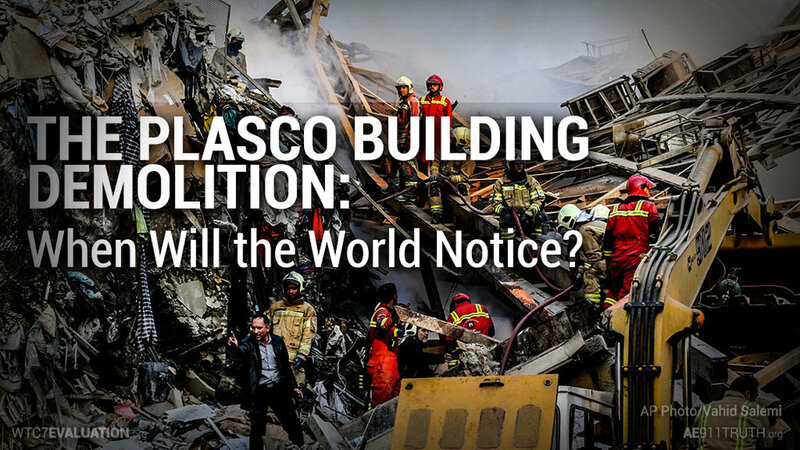 The goal is to finally mobilize the engineering profession as a whole to support a new World Trade Center investigation. 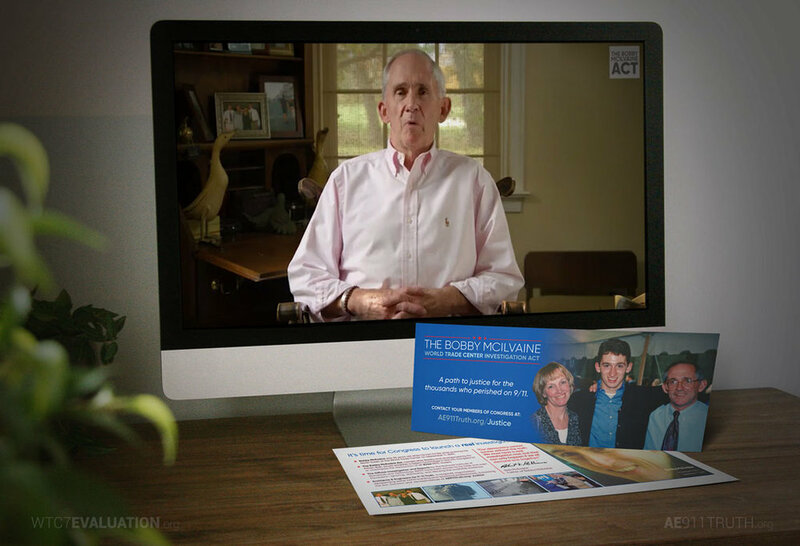 On the advocacy front, AE911Truth will build on the progress made since the September 11, 2017, launch of our campaign for the Bobby McIlvaine Act. Our focus will be on organizing an ever-increasing number of 9/11 family members to support the Act, fostering continuous grassroots pressure on Congress, and finding one representative — or a handful of them — to introduce the Act. 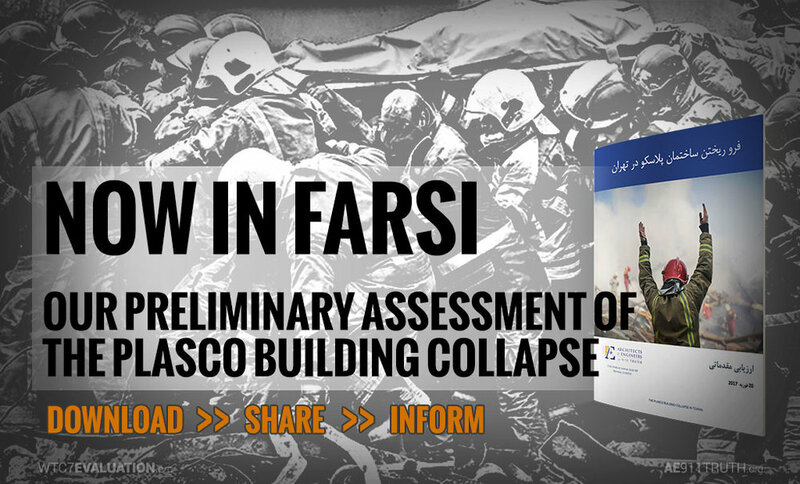 Using the results of the UAF study, AE911Truth will submit a detailed “Request for Correction” to the National Institute of Standards and Technology (NIST), asking that it correct the erroneous analysis in its WTC 7 report. If, as expected, NIST’s response to that request is inadequate, AE911Truth will file suit against NIST under the Information Quality Act, seeking a judgment that requires NIST to correct its report. 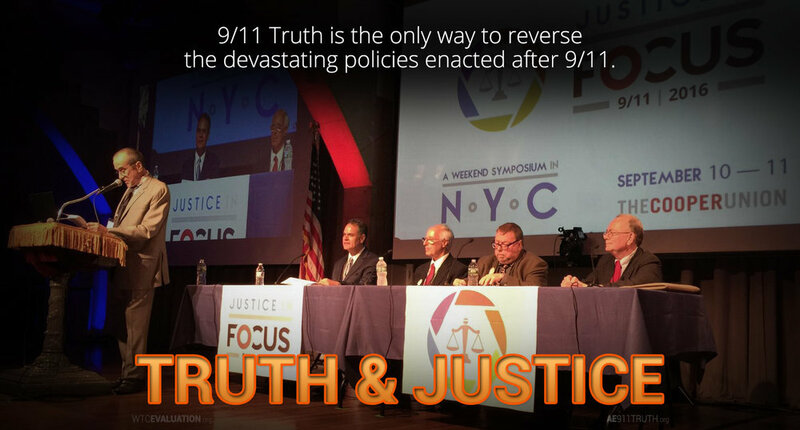 Following on the heels of the recently-filed petition for a federal grand jury investigation, AE911Truth will continue its collaboration with the Lawyers’ Committee for 9/11 Inquiry and 9/11 family members to advance groundbreaking civil litigation over the next year. The Pursuit of 9/11 Truth and Justice needs you.